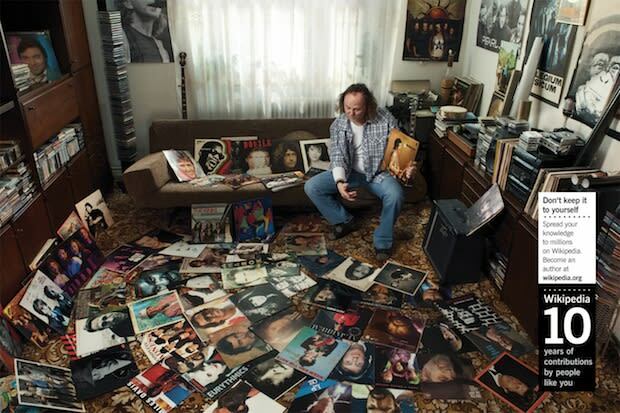 "This is exactly what I imagine a record collector to look like. Serves him right for being such a nerd. The only thing worse than the reproduction mid-century modern furniture are the tragic posters for bands only deaf people could love. This is exactly the type of herb I want writing my wikipedia entries."